A 34-YEAR-OLD man has been airlifted from a ship east of Facing Island, near Gladstone. 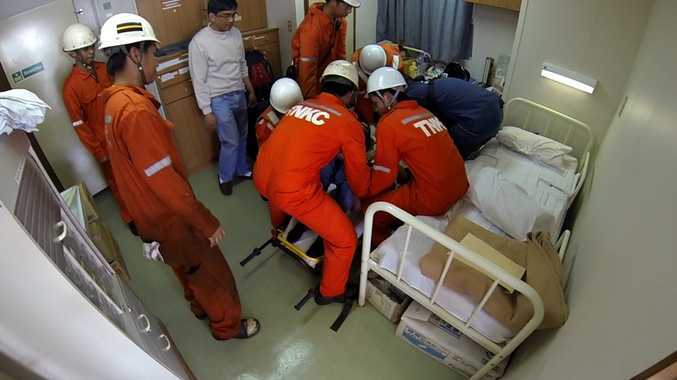 RACQ Capricorn Rescue landed on board the vessel early on Wednesday morning to treat the Philippine man, who was in severe pain. The man was treated by the medical team on board and by RACQ Capricorn Rescue's intensive care paramedic, before being transported to Rockhampton in a stable condition. It's believed the pain related to the man's abdominal organs.